Home → Fertility Nutrition → Is Vitamin A Dangerous for My Pregnancy and Baby? One of the hottest topics for pregnancy health is Vitamin A supplementation. Is it safe? How much is too much? Am I getting enough from my diet? Recommended daily allowance (RDA) of vitamin A for healthy women in pregnancy, according to the American Pregnancy Association, is 770 mcg/dL. Tolerable upper intake levels* (ULs) of preformed vitamin A in pregnancy and during lactation (from foods and supplements) for women ages 19+ is 3,000 mcg/dL RAE or 10,000 IU per day (1 IU = 0.3 mcg retinol, or 0.6 mcg beta-carotene). Vitamin A is available in the human diet in two forms. The first is preformed vitamin A, known as retinol and retinyl ester, that comes from animal foods – dairy products, meat, and fish. The second is provitamin A carotenoids, the most common being beta-carotene (but also alpha-carotene and beta-cryptoxanthin) that comes from many orange, red and yellow fruits and vegetables, as well as a variety of dark green leafy vegetables. Vitamin A – Food Sources are Best! Vitamin A is readily available from a variety of whole foods. The very best way to support your health in pregnancy and the health of your developing child is to eat a whole food pregnancy diet including the following foods high in vitamin A – carrots, squash, sweet potatoes, broccoli, apricots, spinach, pumpkin and liver (animal and fish) like Cod Liver Oil, milk and eggs. Vitamin A is also found in a quality whole food fertility specific multivitamin like the Fertilica™ Fertile Woman One Daily. When searching for information about vitamin A consumption in pregnancy, you will likely come across several resources stating that consuming vitamin A in pregnancy may cause congenital birth defects. While some studies have shown that consuming too much vitamin A in pregnancy may cause congenital birth defects that include malformations of the eye, skull, lungs, and heart, these studies were performed using very high amounts of synthetic, water-soluble forms of vitamin A which is vitamin A from non-food sources. A study published in 2000 in the American Journal of Clinical Nutrition states that prior to that year, dating back to 1970, only “up to 20” reports had been filed relating high vitamin A intake in humans to harmful birth defects in fetuses. Given that we work with women all over the world, it is important to share that women of some cultures suffer from vitamin A deficiency. Vitamin A deficiency often leads to the development of xerophthalmia which is thickening of the cornea and conjunctiva of the eye, as well as the inability to produce tears. The World Health Organization estimates that 9.8 million pregnant women worldwide have xerophthalmia. Studies, as shared of in the Cochrane Database of Systematic Reviews, have reported other effects of vitamin A deficiency as well, this may include an increased incidence of anemia and lowered immunity to disease and illness for pregnant and lactating mothers, as well as her infant child. Vitamin A deficiency in children can cause slower growth and development. The detrimental effects of this vitamin deficiency on mothers and their infants puts them at higher risk for death. In conclusion, we know that vitamin A is an essential pregnancy nutrient for both a mother and her child. The focus should be on eating whole food sources of vitamin A and following a pregnancy diet composed of foods offering a wide variety of nutrients needed in pregnancy. In order for pregnant mothers to get the necessary nutrients they need, supplementing with a whole food prenatal multivitamin is advised. This helps prevent nutritional deficiencies, including that of vitamin A. Learn which nutritional supplements are safe for pregnancy here… and browse our complete library of Pregnancy Health articles… for more information. And perhaps most important, talk to your doctor if you are unsure or concerned about any nutrient you’re wanting to take in pregnancy. Here’s to a happy and healthy pregnancy! * Tolerable upper intake levels (ULs) means the highest amount show to be safe to consume daily without causes adverse affects. It is my understanding that 800mcg is just slightly above the recommended daily allowance of 770mcg for vitamin A. I am not sure there is reason for concern at all. It is good to switch to a multivitamin marketed as a prenatal multivitamin however and if you continue to be concerned do discuss concerns with your doctor’s nurse, doctor or a pharmacist. We suggest vitamin A from whole food prenatal vitamins and foods. There is no known health risk when this nutrient comes from whole foods. As shared in this guide, “Since a number of foods in the U.S. are fortified with preformed vitamin A, pregnant women should avoid multivitamin or prenatal supplements that contain more than 1,500 mcg (5,000 IU) of vitamin A.” This means that a prenatal should not have more than 5,000 iu. The vitamin A you get through your varied, whole food pregnancy diet is in addition to this and shouldn’t be of concern. All that said, if you are concerned, do talk to your doctor and the company that makes the multivitamin you’ve chosen. Hi! I just found out that im pregnant (4 weeks). A week ago my doctor told me to start taking prenatals. I started taking my prenatals but never stop taking my multivitamin pills. Im now reading that I took too many vitamins. What can I do? im freaking out. Should I not take vitamins for awhile? Take a deep breath and simply discontinue taking the multivitamin. 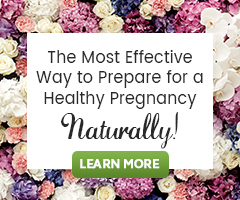 The prenatal should be enough of what you and your baby need. Try not to be so worried! Hello! Throughout 3-4 months I’ve been taking an excessive dose of vitamin A, 100,000 IU twice a day for 3 months. Unfortunately, I haven’t been warned about the negative effects, and now I’m wondering if there is any risk for a potential child. I stopped taking the vitamin a couple of months ago but was reading you need to wait 6-12 months before conceiving. It seems like it would be best to have this conversation with the practitioner who suggested you take vitamin A at this dose. Know also that vitamin A from whole food sources is not known to have adverse effects. My daily multivitamin lists Betacarotene 4 mg and Retinol as retionol acetate 800 mcg (2332 IU). Are these safe levels to consume while trying to conceive and during pregnancy? I would first suggest reaching out to the manufacturer for their explanation. It seem the multi is not a prenatal multivitamin, so I would suggest finding something marketed as a prenatal multivitamin for during pregnancy. There are many on the market, we suggest a whole food prenatal such as Baby and Me by MegaFood. That said, it is believed as shared in this guide that a supplement with less than 3,000iu is fine. Hello, I was wondering, Is 7500 IU of Vitamin A (as Betatene Carotenoids) considered excessive/harmful during PRE-conception? That’s the amount in my current multivitamins. Everything else seems to be in appropriate levels. Multivitamins typically contain 2,500–10,000 IU vitamin A, often in the form of both retinol and beta-carotene and this is just fine preconception. Do switch to a prenatal multivitamin in pregnancy. I wonder if it safe to use cosmetics that has Vitamin A, like Retinol? Can we receive “too much” Vitamin A through cosmetics? We truly can receive “too much” of anything when used, or consumed in excess. Research is inconclusive about the use of topical retinoids (retinol) in pregnancy, therefore their use is often not advised during pregnancy because no one really knows the true risk to a developing fetus. Likewise, not many wish to take the chance or test pregnant women to learn the true risk. It may be best to avoid using retinol in pregnancy if you have doubt or discuss its use with your dermatologist or doctor.